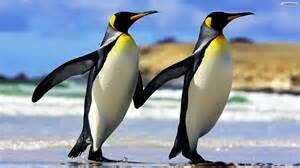 The emperor penguin is the tallest and heaviest of all 17 penguin species at 115 cm tall and is local to Antarctica. The male and female are similar in size, reaching 122 cm in height and weighing from 22 to 45 kg. Despite such harsh conditions, emperor penguins spend their entire lives on the ice or in the surrounding waters of Antarctica. 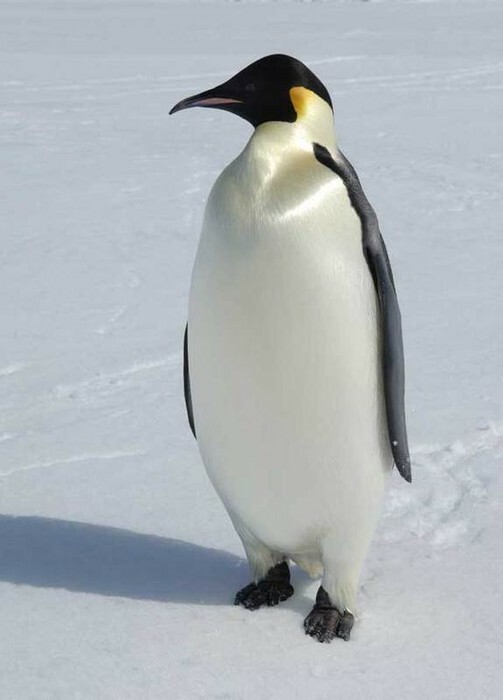 To survive in this extremely cold climate, emperor penguins are completed with many special adaptations. Four layers of scale-like feathers protect them from icy winds and provide a waterproof coat. 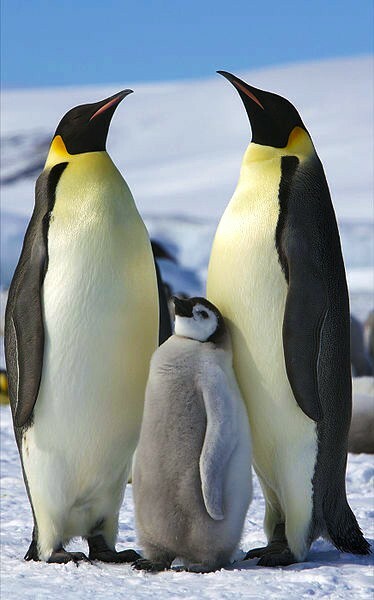 Emperor Penguins normally live about 20 years in the wild, though some emperor penguins have been recorded to live at 40 years of age. 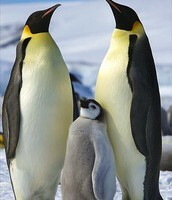 Emperor penguins are very beautiful birds...Adults have a white stomach and a black head, back, tail and wings. They have colourful feathers around their necks and heads, they also have yellowy-gold markings on the side of their head and neck. Like most penguins, the Emperor Penguin has thick, waterproof feathers that cover the entire body except for the bill and feet. 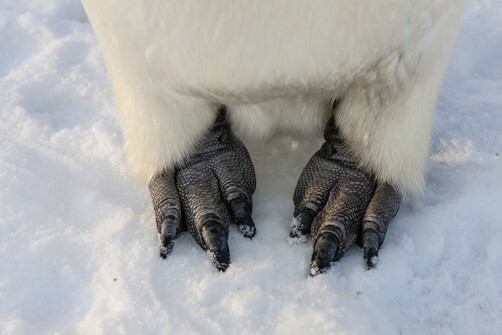 Their feet are strongly clawed for gripping the ice. Emperor penguin chicks are mostly silver and grey with a black head and a clear white mask around the eyes, cheek and throat. Being a true Antarctic bird obviously means that they live in Antarctica...but where exactly in Antarctica do they live? There are around 40 known breeding colonies, all of which occur on an pack of ice surrounding the Antarctic continent, the Antarctic Peninsula and nearby islands. 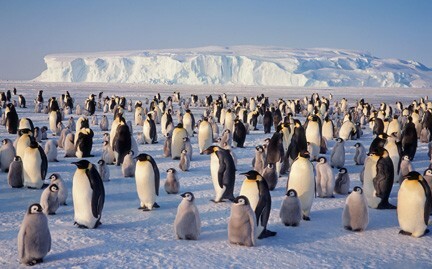 The breeding territory of the emperor penguin are mainly found on level areas of stable ice. These are usually close to the coast or up to 18 kilometres offshore, and are often on ice-cliffs, hills or bergs. Emperor penguins are amazing divers, which helps them to find food! Emperor penguins are near the top of the Southern Ocean’s food chain. One of the most frequently eaten prey species is the Antarctic silverfish. They also eat other fish, Antarctic krill and some species of squid. An adult penguin eats 2–3 kg per day or can eat up to 6kg! Each chick needs about 42 kg of food from each parent!